A view from Hartland Quay over Warren Beach and along the coast to Damehole Point. The Devon Coast between Hartland Point and Marsland Mouth. 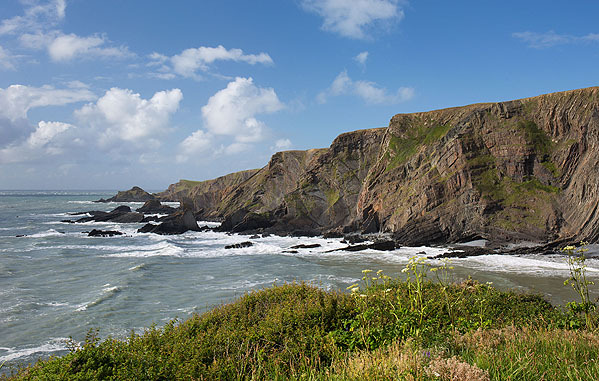 The Coast from Hartland Point to Longbeak Beach in the south , has been described as ‘perhaps the finest coastal scenery in the whole of England and Wales'.